Whether you’re prepping, hanging out, cooking, entertaining, spending time with family or just having a quiet cup of coffee before starting the day, your kitchen is a main hub of activity. The Food Network says the average American spends about two hours a day in this important room of the house, between preparing, eating and cleaning up. Ready for a new look and feel? If you are planning to take on a kitchen remodel in Corona CA, consider these six amazing kitchen remodeling ideas. Open concepts are still hot in 2018, especially when it comes to kitchens. Open plans and technology integration are transforming kitchens all over the country. Kitchens are no longer isolated rooms; now they are virtual living spaces that incorporate traditional kitchen needs along with seating, storage and entertainment such as flat screens TVs. Flow is important when designing, so think about how you work in the kitchen and make sure the floor plan follows that flow. Clean, minimalist kitchen styles are taking over. It’s time to ditch the crowded, over-decorated feel and go with clean, crisp, neat lines and floor plans that are easy to navigate. Incorporate stainless steel appliances, quartz or granite countertops, and furniture with simple lines. Incorporating creative storage options such as extra cupboards, drawers and pull-out shelves is a functional, convenient way to get more out of your kitchen. Incorporated into the storage solutions are charging and storage stations for electronic devices. Subtle color palates for kitchens are in. Pair whites and off-whites with muted colors like pinks, neutrals or cool tones. Soft colors add a sense of cleanliness to the kitchen as well as brightness. You can also add interest to the color scheme with textures and patterns for more depth. Hardwood floors are still a classic choice for kitchen remodels. Not only are they sleek and beautiful, they’re easy to clean and they add a feeling of warmth to the kitchen. Go with oak, maple and cherry, which are the most durable, over softwoods like pine, which will dent. However, if you’re going for a rustic kitchen design, a distressed pine floor could be just what you need. Today’s homeowners are looking for design inspiration from previous decades. Eighties accents in particular are hot right now, such as backsplashes, pastels and metal accents, or the simplistic styles of the 1960s incorporating white shaker kitchen cabinets. These are also a classic, timeless accent that work in kitchens of all kinds. In choosing the best kitchen remodeling design, remember that you will have to live with that style for many years to come. You also want to keep your costs down in many areas so you can splurge in others. That’s why it’s wise to buy RTA kitchen cabinets from Summit Cabinets. You buy direct from us with no middleman! To learn more, contact us at 909-980-0700 or get a free kitchen design online. 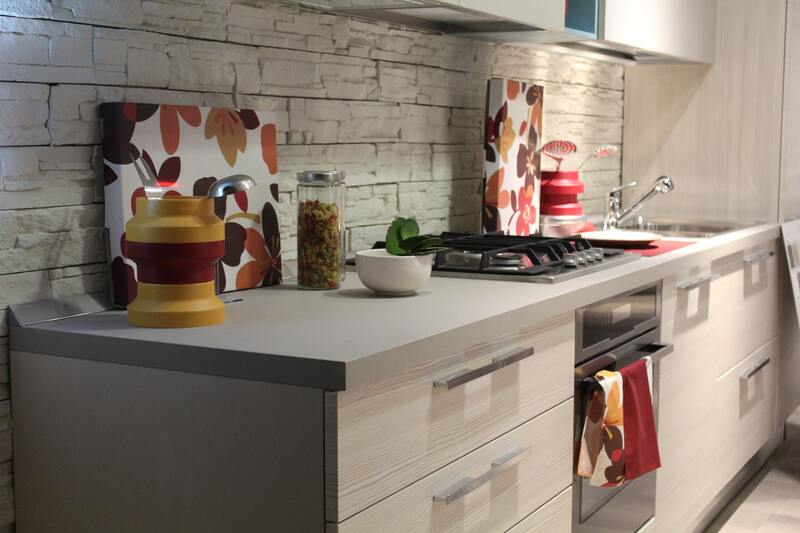 We have a variety of kitchen cabinets that are sure to match your style. If you need help deciding, consult with one of our designers.